Enjoy your morning coffee on the covered front porch with breath taking mountain views. This beautiful, well cared for home sits on 1 acre and comes with 2 adjoining acres, PIN #'s 030 19705 and 030 19709, for a total of 3 acres. Enjoy the beautiful in ground pool and relaxing back porch and patio. This will not last. Call today to schedule your own personal showing. Buyers to verify all information. Directions:From 6-40 east bound, take 8 onto Washington Pike/Mall Road South. Go 0.4 miles to turn left on to Washington Pike. Go 0.3 miles to right onto Washington Pike. Travel 4 miles to left onto Maloneyville Rd. Travel 2.3 miles to property on left. Sign on property. Turn in driveway, subject property located at end of driveway. SchoolsClick map icons below to view information for schools near 5657 Maloneyville Rd Corryton, TN 37721. 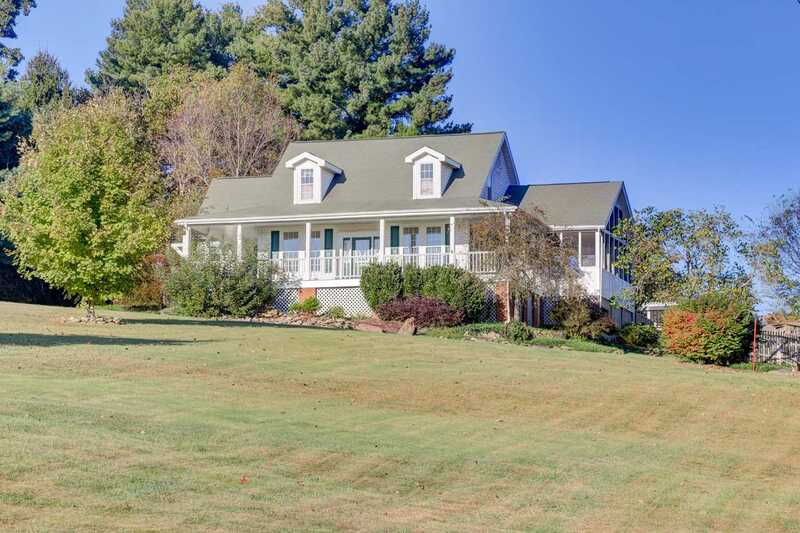 Home for sale at 5657 Maloneyville Rd Corryton, TN 37721. Description: The home at 5657 Maloneyville Rd Corryton, TN 37721 with the MLS Number 1068973 is currently listed at $369,000 and has been on the Corryton market for 2 days. You are viewing the MLS property details of the home for sale at 5657 Maloneyville Rd Corryton, TN 37721, which is located in the subdivision, includes 3 bedrooms and 3 bathrooms, and has approximately 3033 sq.ft. of living area.